Anyway, thanks for coming to my blog today! We are being highlighted internationally by the fabulous Kylie Bertucci, and you can VOTE for my project, if you’re so inclined. The top ten winners will get to be part of an international blog hop. 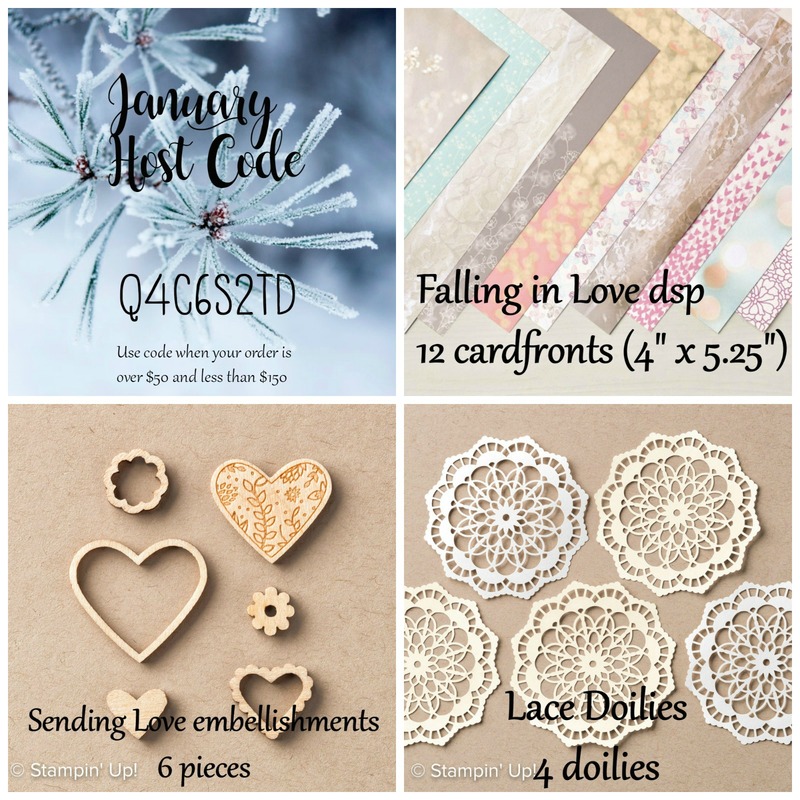 In last month’s blog highlight, I did squeak in at number 10, so I will be hopping with Kylie and nine other talented demonstrators in February (THANK YOU for your votes!). I’d love to do it again next time, so please go vote for my card! Our theme for this highlight is Travel. I decided to use the hot air balloons from the new Lift Me Up bundle. I haven’t gotten to play with these much, so it was nice to have this theme to push me. *The Bermuda Bay card base is 4.25″ x 11″, scored at 5.5″. *Both designer series papers are from the Cupcakes and Carousels DSP Stack. This stack is such a good one! It has a vintage circus theme, but I’m finding all sorts of uses for it. 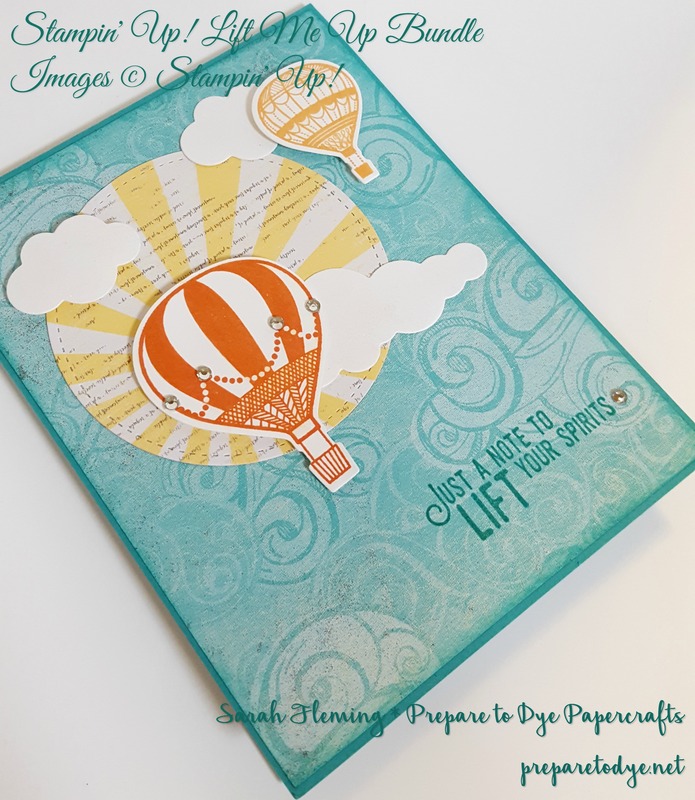 The background paper can be swirly clouds, as I’m using it, but you could also call that cupcake icing and use it with cupcakes, or call it cotton candy and use it on a circus-themed card. I sponged the edges of this paper with Bermuda Bay ink — when you sponge the edge the same color as the card base, it really softens that edge. I love this look. *I cut the sunburst paper with the Stitched Shapes Framelits (BACK IN STOCK!!). I thought that was a fun backdrop for the clouds and balloons. 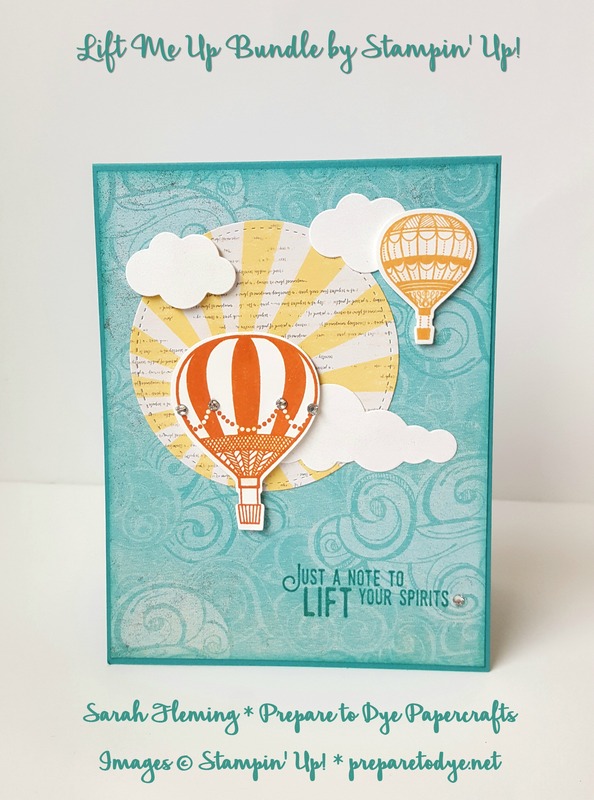 *The hot air balloons are stamped in Tangerine Tango and Peekaboo Peach and then cut out with the coordinating framelits. The cloud framelits come in the same bundle. I love that they come in multiple sizes! I think there are four different cloud framelits in the bundle. *To get all of that wonderful sparkle on my balloons and clouds, I just painted them all with the Clear Wink of Stella brush pen. It’s amazing the difference Wink of Stella makes on a card. *I finished off my card with Rhinestones, but Pearls or Enamel Shapes would also look really nice here. 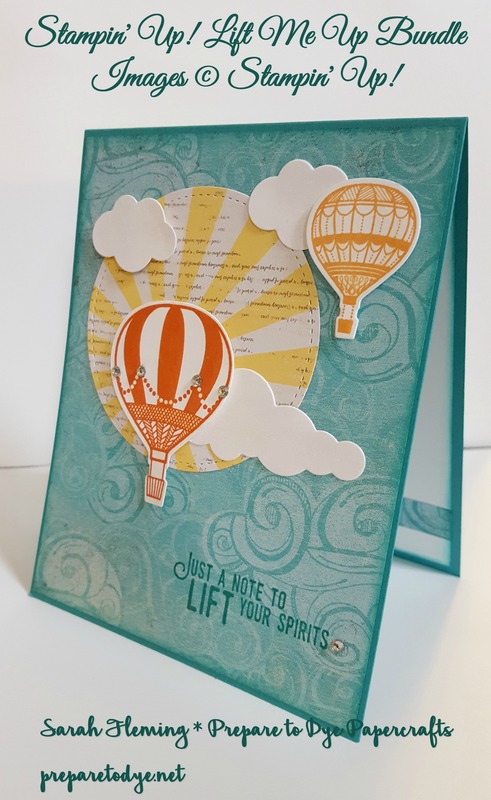 *I added a piece of Whisper White cardstock to the inside (4″ x 5.25″) and a half-inch strip of the swirly cloud paper to pull the whole card together. I also sponged the edges of this piece in Bermuda Bay, again to soften the edge. Thanks for coming today. I hope you like my card. My full supply list and links to my store are below. Make sure you head over to Kylie’s blog to vote for my card. I would love to be chosen for the next blog hop! Don’t forget that from now until the end of March, you can earn a Sale-A-Bration freebie by placing an order of $50 or more in my online store. And don’t forget that anytime you order $50 or more from me using my Host Code, you also get my free gift. But if your wishlist is over $99, the best deal is to buy the Starter Kit and join my team. No pressure to sell from me, ever, and for $99, you get $125 in products (you choose the products), and during Sale-A-Bration, you get to choose TWO extra stamp sets for your Starter Kit. You’re time away from the gym was well spent! That’s a great card! 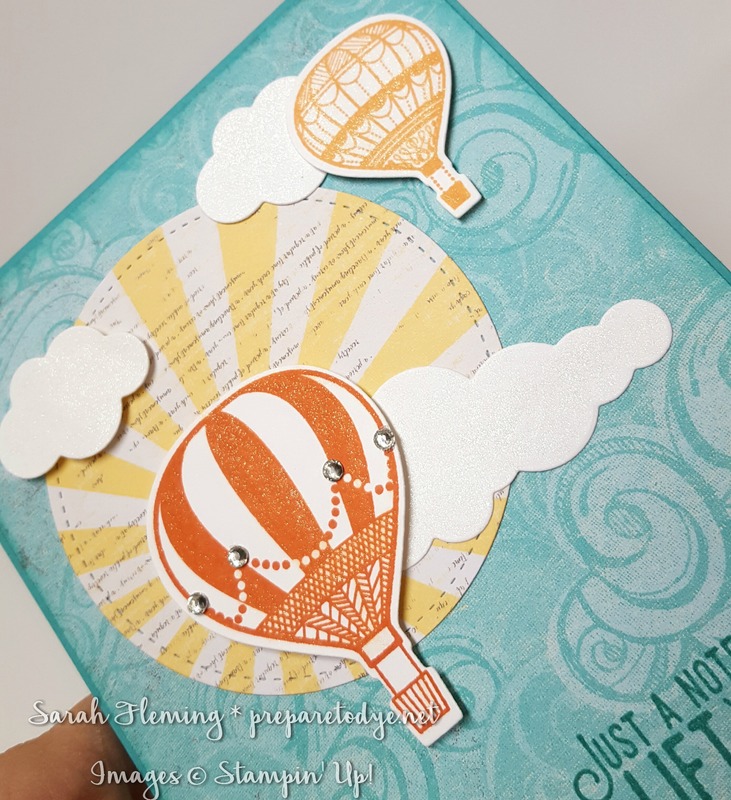 Love card Sarah, such amazing use of the DSP, I think I NEED it now! Thank you, everyone! Megan, it’s gorgeous DSP. Get some! Love your card Sarah! Congratulations on being voted in the top ten for the highlights this month! Awesome work. Looking forward to hopping with you.